Also known as the Queen of Satpura, Pachmarhi is a mesmerising hill station in Madhya Pradesh and is immensely popular amongst local tourists and travellers. On an average, it is frequented by people in millions every year. From waterfalls to valleys, temples to gardens, viewpoints to streams and hills to forests, it houses everything that has been charming tourists for decades. But do you know this picturesque hill station also houses a haunted forest? Yes, you read that right. Well, it is certainly a surprise for those who know Pachmarhi as one of the most beautiful hill stations in the central parts of India. Let's move ahead and learn in detail about Pachmarhi, its tourist attractions and the infamously haunted forest. Pachmarhi is located in the Hoshangabad district of Madhya Pradesh at an elevation of more than 3500 ft and is encompassed within a lush green valley of the Satpura Range. Therefore, it harbours the best of natural beauties in its region. It is one of the few places in Madhya Pradesh which is capable of satisfying the wanderlust of every traveller. After all, it has everything under its arms, ranging from natural sites to historical places. The region in and around Pachmarhi is also of great religious significance as it is believed to be the site where the Pandavas from the epic Mahabharata stayed during their exile. The caves in which they spent certain days are called Pandava Caves. In the past, Pachmarhi served as a summer retreat to several British officials. Such is its popularity now that it can be found on the bucket list of every traveller. It is certainly unbelievable that beautiful places like Pachmarhi have also been influenced by ghostly presences. It is said that the central parts of Pachmarhi, which generally comprise forests, is inhabited by unearthly creatures. Several incidents of tourists and locals encountering unusual sounds have also been recorded. However, no strong evidence to prove this fact has still been found. 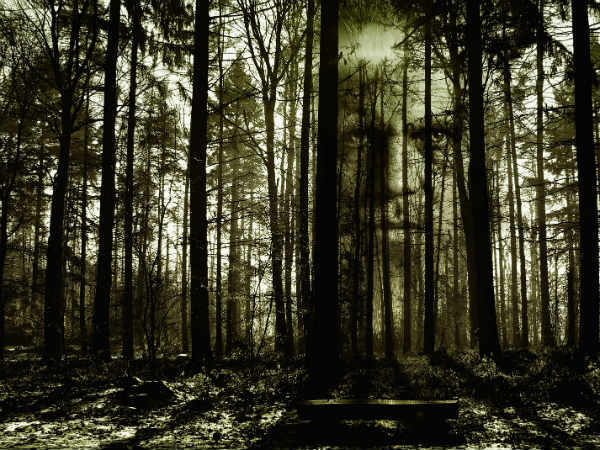 As per a few locals, it is believed that the haunted forest of Pachmarhi is the site where a local couple was killed by their parents as they had married against the customs of the society. Irrespective of these legends, the forest is still frequented by several offbeat travellers. Would you dare to take a stroll amid this spooky forest? Pachmarhi is a complete package for travellers. It not only houses natural wonder but also historical sites as well as religious places. Therefore, it is of great historical, natural and religious prominence. The major places which every traveller must visit here include Pandava Caves, Rajat Prapat, Dhupgarh, Gupt Mahadev, Pachmarhi Lake, Bee Falls, Chauragarh, Silver Falls and Panarpani. You can also go exploring the beauty of rich flora and fauna within its boundaries. If you would love to unravel the mysteries related to the haunted forest, you can plan a tour of Pachmarhi. Otherwise, the presence of its heavenly nature is enough to compel you to explore its beauty. Who wouldn't love to get far away from the disturbance of the city life and mingle with the calmness of nature? From couples to families, Pachmarhi interests each and every type of tourist. By Air: The best way to reach Pachmarhi by air is to take a direct flight to Bhopal airport and then from there, a bus or a cab. Pachmarhi is well connected to Bhopal by rail and road. The distance between Bhopal and Pachmarhi is about 190 km. By Rail: The nearest railway station to Pachmarhi is located in Pipariya at a distance of about 50 km. Once you have reached the station, you can hire a direct cab or use the public transport to reach Pachmarhi. By Road: Pachmarhi has a good network of roads, and hence you can either take a direct bus or hire a direct cab to reach it.